Displaying 41-50 of 2387 result(s). Tactic Miner fell in an unknown cavern. 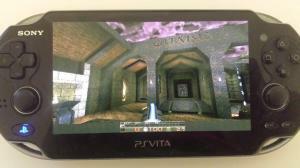 'Little' 2D action game for PS Vita and PS TV (Rejuvenate native binary using Xerpi's vita2dlib). This is a Port of the Official PS4 Remote Play App for Android. The mod consists of a single APK file that can be installed on any device that meets the requirements below. Sony's official Content Manager Assistant for the PS Vita. Available for Windows and Mac. 1. Place your PSP game you want to install in the 'p' folder of the savedata. the changelog infos for the available updates if exists.